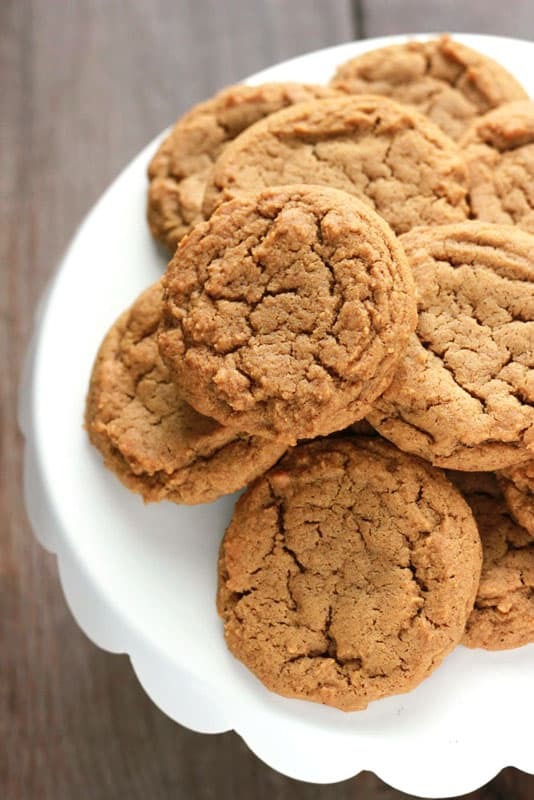 Soft Gingerbread Cookies. 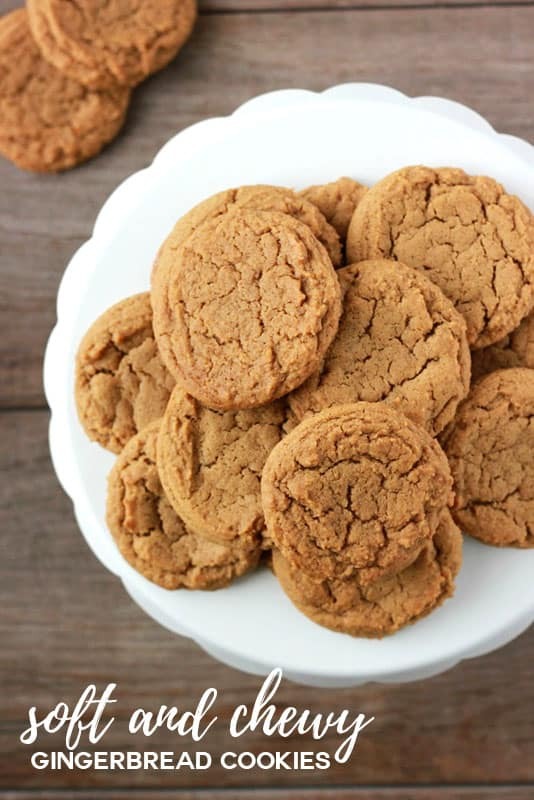 Enjoy the classic flavor of gingerbread with this soft and chewy cookie recipe. They have a special place in the belly of my seven year old. Seriously. I have a hard time keeping these away from both him AND my hubby. One of the secret ingredients that I put into this recipe is orange liqueur. It helps to enhance the flavor, but not so much that you end up searching for a glass of milk to wash things down. People tend to push both feet to the brakes when they hear that alcohol is an ingredient… I really suggest you give it a try. Every person that sampled this batch was begging for the recipe. If push comes to shove and you really don’t feel like it’s for you… I have an easy swap- Orange juice. It is not going to have the same flavor but it still adds that little push these need to send them over the edge of the flavor waterfall. Find a balance. You do not want to add too much liquor but too little and you won’t be able to taste it. Pick something you would drink normally. Chances are good you will have leftover. 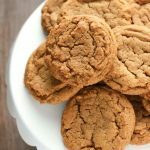 If a crunchy version is what you are searching for… I suggest heading over to my original Gingersnaps. These are almost impossible to over bake and ALWAYS come out soft and chewy. Serve them at any holiday gathering or just keep them around for you to share with your close family. OR try to dip them into white chocolate for an elegant look! Like this recipe? You will love my Classic Gingerbread Cookies, Gingerbread Biscotti, and Gingerbread Pancakes! Preheat your oven to 350 degrees. Line two cookie trays with parchment paper and set aside. 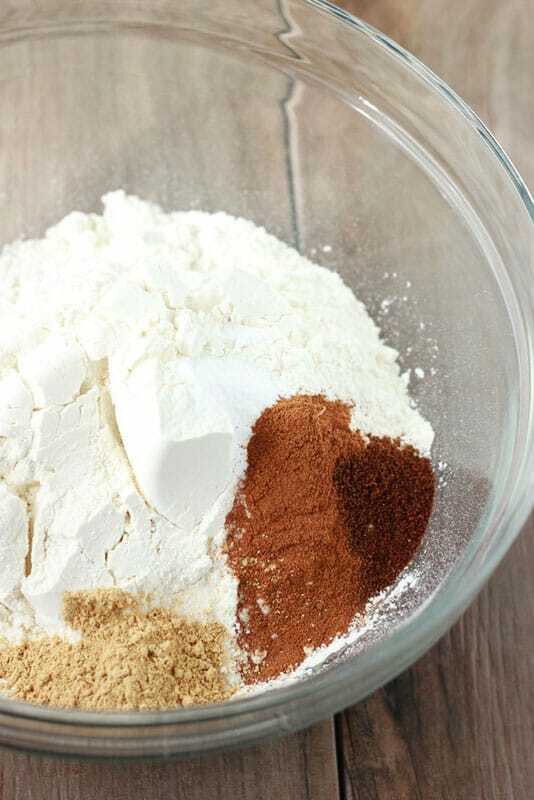 Whisk together the flour, baking soda, ginger, cinnamon, cloves, and salt. Set aside. Combine the butter and brown sugar in the bowl of an electric mixer. Beat on low speed until light and fluffy. Add the egg, orange liqueur if using, molasses, and vanilla. Fold in your dry ingredients and stir on low speed until just combined. 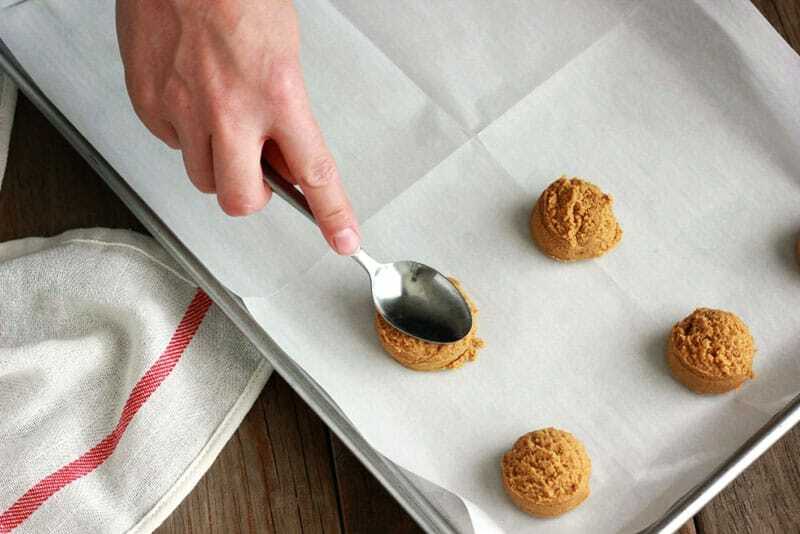 Use a small cookie scoop to form balls of dough and place 2 inches apart on your prepared pans. Flatten slightly with a spoon or the bottom of a measuring cup. Bake 8-10 minutes or just until the edges begin to curl slightly and are lightly browned.